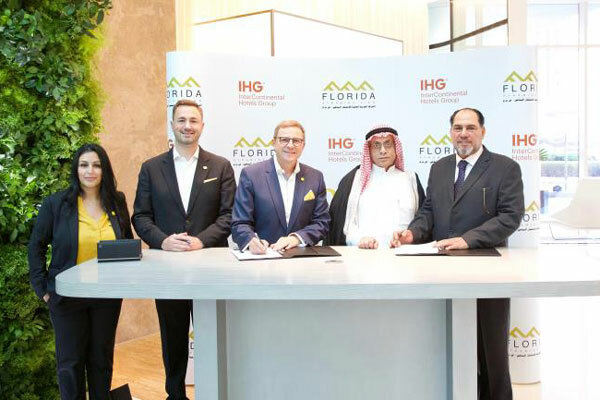 InterContinental Hotels Group (IHG) has signed a management agreement with Arab International Tourism Investment Company to debut the voco brand in Egypt. Part of a mixed-use development, which will include a high-end mall, the 17,000-sq-m voco Giza Pyramids is scheduled to open in 2022. Strategically located to cater for both business and leisure travellers, the 230-room hotel will be situated in the prime locale of Pyramids Gardens in Giza, beside the Grand Egyptian Museum and the main entrance of the Pyramids. A 15-minute drive from the newly opened Sphinx International Airport, the hotel is conveniently located 30-minutes from the city centre, with easy access to the ring road connection and the New Administrative Capital, expected to become the new administrative and financial capital of Egypt. The new-build hotel will offer all the features that guests will expect from the upscale brand, including an outdoor pool, a health club and spa, as well as 861-sq-m of meeting space. There will also be multiple dining options available for guests to enjoy, from the pool bar to the hotel’s specialty restaurant.